The relationship between a kid and their dad is something unique and special. It was the dad who would sneak us the extra scoop of ice cream or helped us fix the broken lamp so mom wouldn’t notice. So how do you show dad just how much your relationship means to you on Father’s Day? If you’re anything like me, Father’s Day is the hardest holiday to shop for. My dad doesn’t really like stuff, and it’s always boring to get him the things he needs. How many years in a row can I get him a tie? I’ve made it my personal goal to get creative on Father’s Day and skip the traditional gifts and opt for spending quality time with my dad and showing him with actions, rather than gifts, how much he means to me. It’s easy to go to the store and spend $3.99 on a card. But a homemade card, designed by you especially for him, makes it personal. 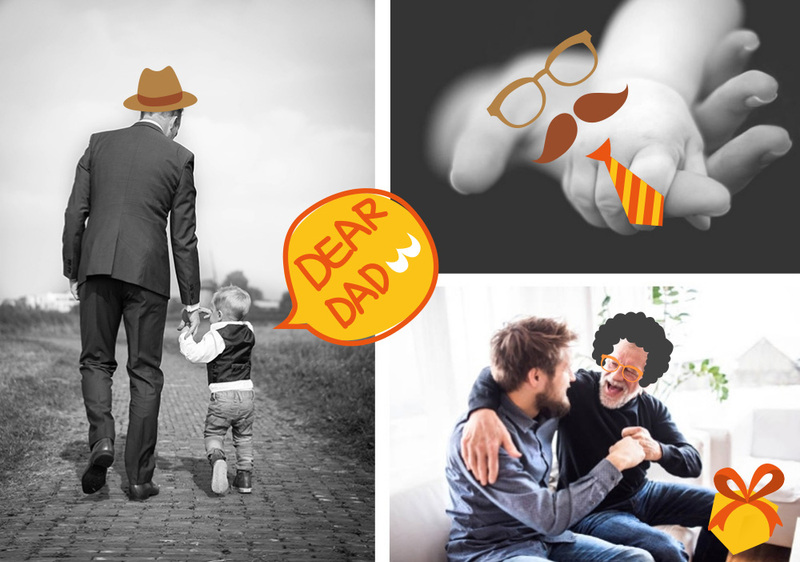 Using Fotor, you can select from a handful of templates and add several customizations that make the Father’s Day card unique for you and your dad. Add your own photos, choose from Fotor’s artwork and stickers and create something you know he’ll love. Also check our Mother’s Day Card tutorial to get some inspiration. Don’t just take him out to lunch or dinner this year, go grocery shopping and bring everything to his house to make a meal especially for him. 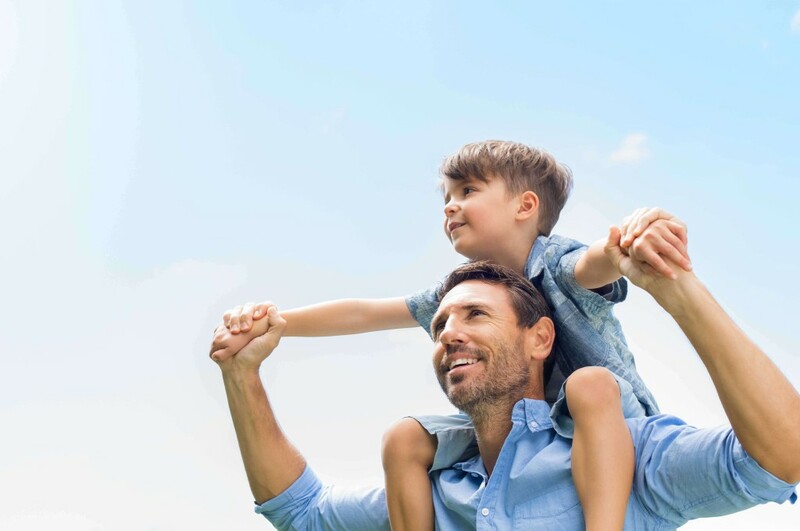 Dad knows your time is valuable, so making the extra effort to spend a little more time to do something, rather than just spending money on him, will not go unnoticed. Find something that the two of you share and incorporate it into his gift. The year after I got married, I framed a picture of the two of us dancing and wrote the lyrics to the song around the picture. Or maybe there’s a book or movie that the two of you love. Framing a quote reminds him of something that he only shares with you. Whether this is his first or fiftieth Father’s Day, he loves being reminded of the best job he’s ever had. Sort through old and new pictures of the two of you and make him a collage to show him how great of a relationship you have. Use Fotor’s to easily put together your photos into a beautiful photo collage. Choose a template and simply upload your photos. It’s that easy. With dads, it truly is the thought that counts. This Father’s Day, show him that you put thought into what would make him feel the appreciation and love he deserves.